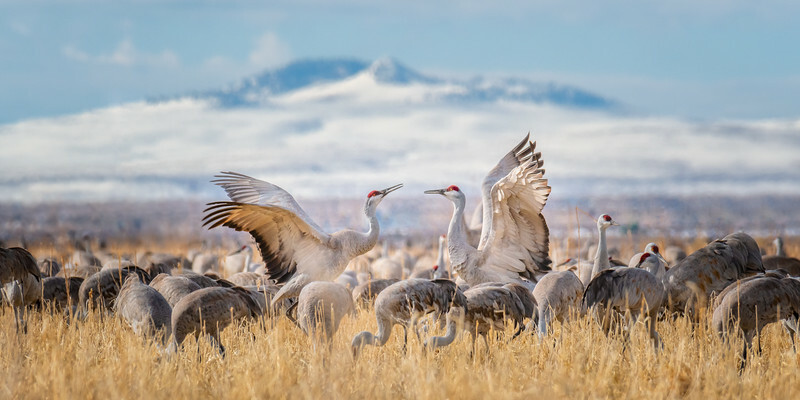 Each spring the Sandhill Cranes make a stop in Colorado's San Luis Valley as they migrate from their southern winter feeding grounds to their nesting grounds. The cranes have such character. Their interaction is so much fun to watch. I just love how these two cranes are having a "conversation" while most of the other birds surrounding them are heads down and eating.